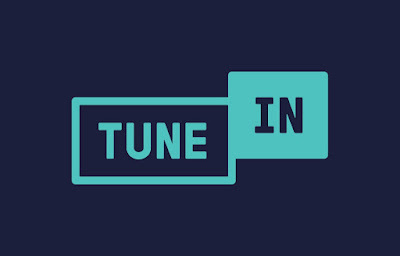 TuneIn, Inc., the leading global streaming live audio service, today announced TuneIn Live, a new premium live audio subscription experience for Alexa. With TuneIn Live, Alexa customers in the United States will be able to listen to a variety of premium audio content, including play-by-play calls from thousands of live professional sports games, premium news stations, talk shows, and more. The service will be available to customers today, just in time for the 2018 Major League Baseball Opening Day. To get started, just say "Alexa, open TuneIn Live." "There is such a time-honored connection between live radio and sports, baseball in particular," said Tony Archibong, Vice President of Distribution and Business Development at TuneIn. "To have Alexa as the first voice service to offer our premium content, and to be able to provide our extensive portfolio of live sports, breaking news, and up-to-the-minute talk radio to Alexa customers, just in time for Opening Day, we could not be more excited." All new customers will receive a free 7-day trial when they first enable TuneIn Live. When the free trial is complete, Amazon Prime members can become TuneIn Live subscribers for just $2.99 per month. Non-Amazon Prime members can subscribe for $3.99 per month. "TuneIn Live brings a delightful experience to Alexa customers with the ability to stream live audio of virtually any sporting event or news broadcast throughout your home," said Rob Pulciani, Director, Amazon Alexa. "Just ask Alexa to open the TuneIn Live skill and play your favorite team's game – even synchronize playback across multiple Echo devices around the home so the whole family can hear as they move around the house." Launching this new custom integration is a model of TuneIn's commitment to delivering the world's best listening experiences. Within the speaker category alone, TuneIn users have listened to over 1 billion hours of sports, news, and talk programming on the service in the past 12 months, making TuneIn one of the largest live audio streaming platforms on the market today. In addition to speakers, TuneIn is currently available on over 200 connected devices and streaming platforms in over 197 territories across the world. Customers can manage their TuneIn Live subscription at any time using the Alexa mobile app or with the subscription manager on Amazon.com. For more information on TuneIn Live, please visit www.tunein.com/live or just say "Alexa, open TuneIn Live."